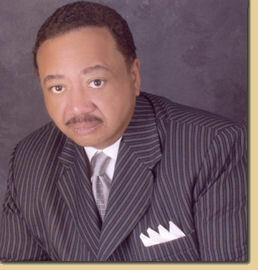 William A. Adkins, Jr. (Bill) is anointed of God to impart and activate the gifts of the Spirit in order to raise up strong ministries in the Body of Christ. This gifted visionary with a true apostolic and prophetic call on his life, has a desire to infiltrate the world with the Word of God. He is dedicated to perfecting the saints and training ministers to fulfill the call of God in their lives. Through his transition from pastoral to the apostolic, he is bridging the gap between denominations regarding living in the Spirit and gifts of the Spirit. He accepts his charge to raise up a fresh new movement of holiness, parenting as a spiritual father, traditional churches and denominations into the beauty of holiness. 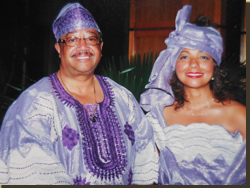 Dr. Adkins is married to the lovely Linda Kerr Adkins and they have been blessed with four children, Taihia, Ronne’, Christopher and William, III. Bill was born in Memphis, Tennessee, February 5th, 1948. His father, Reverend William A. Adkins, Sr., was a Baptist Minister and self-employed as an insurance agent and real estate broker. His mother, Georgia Hopkins Adkins, was the first black registered nurse hired at John Gaston Hospital, now the Regional Medical Center. Though he pastors a non-denominational church, Bill was raised as a Disciple of Christ, Baptist and Catholic and educated in Catholic Schools. He left Memphis to begin his college education at Tennessee State University in Nashville, Tennessee. He later finished his undergraduate education at Christian Brothers College in Memphis. Bill’s radio and television career began at WLOK radio in Memphis where Bill was a news announcer. He later moved to WDIA, WKDJ, WHBQ (ABC) and WMC (NBC) where he served as a Talk Show Host. Dr. Adkins also worked in television as a news anchor at WPTY-TV (ABC). While at WDIA he launched an effort to save the financially strapped all black town of Mound Bayou, Mississippi, successfully raising $250,000, saving the town from bankruptcy. The National Association of Television and Radio Announcer honored him for his effort. Active and alert to the needs of the people, Dr. Bill Adkins has stood before mayors, governors, presidents and international dignitaries on behalf of causes and concerns. He was active in the Civil Rights Movement from childhood, participating with his father and mother in the local NAACP and later working as a member of SNCC (the Student Non-Violent Coordinating Committee). He is recognized around the world as a humanitarian and scholar. This visionary leader started Greater Imani Church and Christian Center on November 1, 1989 with 29 dedicated friends and family members. Since that time, Greater Imani has enjoyed phenomenal growth, making it what some have called, “One of the Fastest Growing Churches in America.” Greater Imani also enjoys the reputation of “the” church with the largest male population and percentage (42%) in America. He serves as the Senior Pastor and Founder of the 5,000 member-plus church and the CEO of the Imani Telecast Network, USA, headquartered in Memphis. Dr. Adkins earned a Masters of Divinity Degree (1994) from Cornerstone Theological Seminary and later a Doctor of Ministry from Belsar-Trinity Bible College (1997). He also received a Doctorate of Humane Letters from the University of Ghana (honorary). He is a graduate of the Harvard Divinity College Leadership Institute (2007) and was voted by readers of the Memphis Commercial Appeal Newspaper as Memphis’ Most Passionate Preacher (2008). Dr. Adkins serves as the National Chaplain for his fraternity, Kappa Alpha Psi. Dr. Adkins has led numerous missionary journeys to Africa and the Caribbean, establishing health clinics in Koalack Senegal, Banjul, Gambia and Kumasi, Ghana. He has actively supported numerous economic development efforts on the African continent. He is credited with delivering over five million dollars in medicines and medical supplies to West Africa on numerous missions. Dr. Adkins, as well as many other American civil rights veterans, spoke extensively throughout South Africa (1994) on the virtues of free elections and the struggle against apartheid. He received the distinction of being one of the few Americans enstooled as an Ashanti Chief in Ghana and given the title and name Nana Osei Tutu which is the name of the one of the past Asantehene (King of the Ashanti’s). He has widely traveled the world, preaching and teaching on five of the six habitable continents. His ministry reaches thousands of households via his weekly television, Internet and radio programs. He is the author of numerous books including: FROM AFRICA TO BETHLEHEM, LIVING IN THE SPIRIT and THANK YOU FOR TALKING ABOUT ME, sold in bookstores nationwide. For contact: Greater Imani Church The Cathedral of Faith, 3824 Austin Peay Highway, Memphis, Tennessee 38128, 901-274-6711.www.greaterimanichurch.org, Email: frontoffice@upmypeople.org.